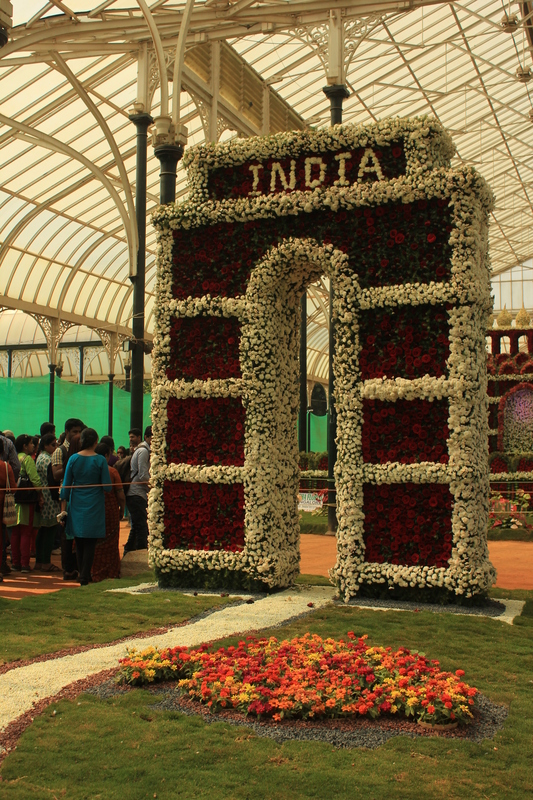 A mammoth floral replica of Delhi’s Red Fort greets visitors at this year’s Republic Day Flower Show at Lal Bagh. 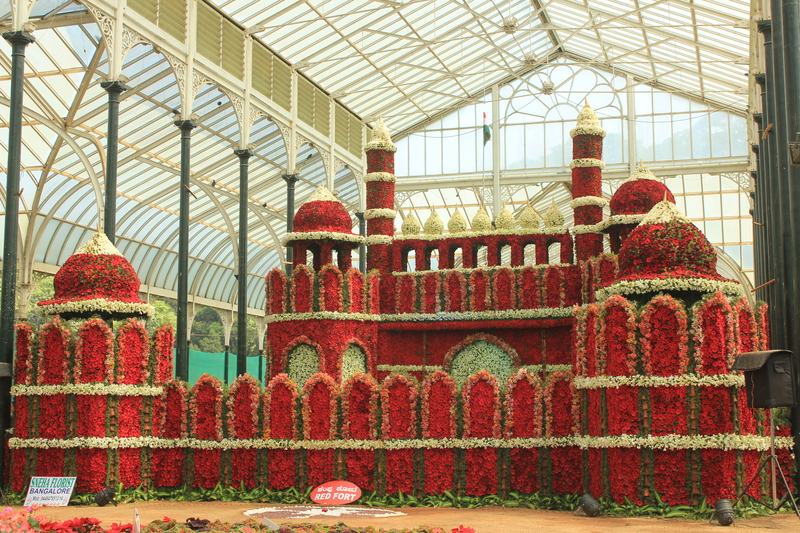 Made with more than 3 lakh roses and standing 28 feet high, the floral re-creation of the famous monument has several thousands of visitors thronging to the Glass House, the venue of the show. 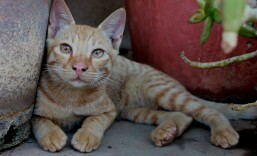 In spite of it being a Tuesday, I was quite taken aback seeing the crowds. Luckily, there was enough room to take pictures. Close to the Red Fort is an attractive floral replica of the India Gate. Unlike in previous editions of the show that I have been to, at this edition the flowers look jaded. Petals of many seem to have either fallen off or got plucked. A lot of petals have holes possibly because of a pest attack. There are a variety of flowers. The emphasis this time seems to be on the smaller flowers like phlox, heliotropium, and cineraria. There are lots of them. Roses are few and some of them have lost a lot of petals. The dahlias were conspicuous by their absence. Other attractions at the show are a smaller version of the Statue of Liberty and Lady Justice. The white statues though not made from flowers stand out with the Red Fort in the background and the multitude of colourful flower beds. The idea of having the Statue of Liberty at the show is to commemorate the visit of US Prez Barack Obama at the Republic Day celebrations in the capital. The selfie craze seems to have taken this edition of the flower show by storm especially with youngsters. Gangs of collegians were having a whale of a time striking a plethora of poses. A lot of visitors were having group photos taken too though umpteen obstructions (with visitors constantly walking into the frame) were driving photographers to their wits’ end. A lot of children were seen tampering with flowers and breaking stems much to the dismay of parents and bystanders. The cops as usual were having a tough time managing the crowds and shooing off the little brats. The flower show extends beyond the Glass House. The idea of vertical gardens seems to be catching on. There is one on the way to the Glass House. The Band Stand looks vibrant with floral replicas of a Veena, Guitar, Piano, Ice Cream, and Mridangams adding to the colour of the surroundings. After an hour at the Glass House and another quarter near the Band Stand I headed to the stalls for a round of window shopping. There are numerous stalls selling anything from seeds to plants to gardening equipment to jute bags, cane baskets and more. The smaller plants seemed to be vanishing fast not surprising since they are easy to carry. At one end of the stalls, a mini horticulture exhibition is turning out to be a learning experience for many. 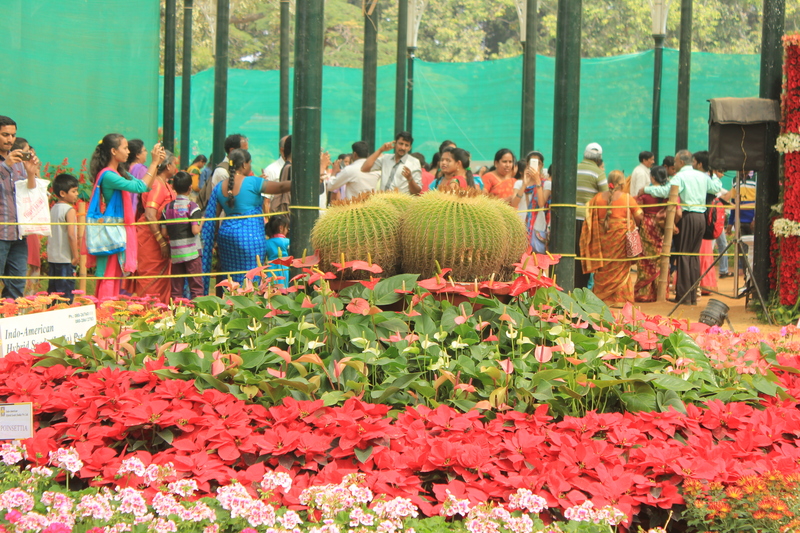 It feels good being at Lal Bagh especially during the flower shows. Ample number of benches make your experience that much more better. After resting my weary feet on one of the benches it was time to head off. It won’t be long before I come back here again because February is blooming time for a lot of trees 🙂 . I just can’t wait! The Flower Show is on till 26 January.